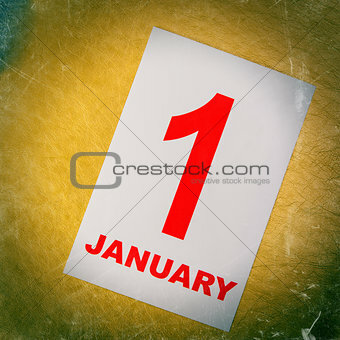 Image Description: Sheet calendar, January 1. New Year. Date.